Registration is an easy and simple way to protect your new track system and get faster assistance. Stay up to date on safety and recall notifications, special promotions and offers. Which factor(s) influenced your purchase the most? What is your main type of usage? Do you own another off-road vehicle(s)? Thanks for sharing us your comments. By registering your product with Camso, you are providing us with certain personal data. Your data privacy is our top priority. 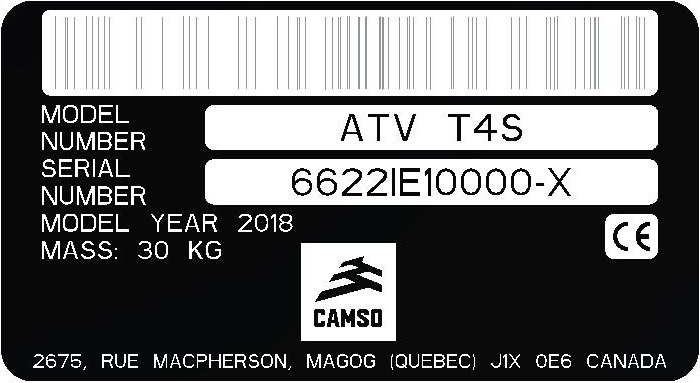 If you have any questions, or wish to modify or delete any personal information at any time, please contact our customer service centre at enduser.atv@camso.co or by calling at (819)-539-2220. We can use your contact information to communicate with you about our service and support information and send you updates about Camso and its products. If you are interested in additional information on any of the following subjects, please check the boxes below. *You can opt out of receiving communications from us any time. Simply unsubscribe from the newsletter.